Don’t miss the 31st January deadline for discounted tickets… book online now!! Now this is where backgammon should be played. 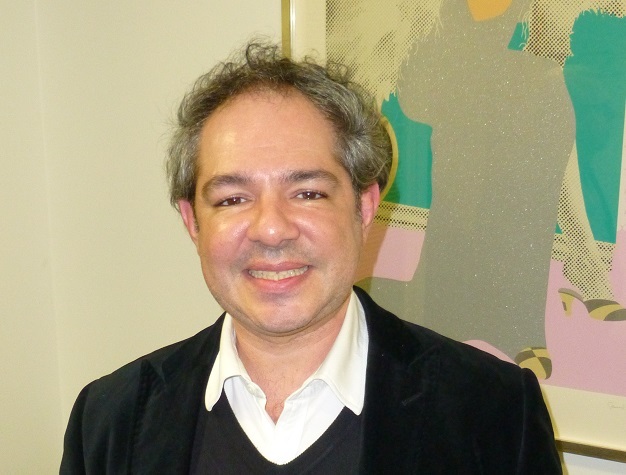 The One-to-One Children’s Fund, The Magic of Persia, Norwood, Scope: all these are charities which have held regular fundraising backgammon events in the UK since the turn of the century but all, with the exception of ‘Scope’, have been discontinued. Read on to find out more about the Scope tournament and why this is one not to be missed! The Annual Charity Backgammon & Bridge Tournament has been raising funds for good causes for the last 16 years, but it hasn’t always supported the same charity. It was founded by Lady Trudi Seely and Suzy (Countess of) Denbigh in memory of Suzy’s late father-in-law Rollo, the 11th Earl of Denbigh who, I am told, was a backgammon enthusiast. Over the years it has been associated with several different charities including (at the beginning) MacMillan Cancer Relief, Cancer Backup and, for the last six years, the disability charity Scope, which has a particular emphasis on cerebral palsy. For more information about Scope and the essential services it provides for disabled people and their families, visit the Scope website. 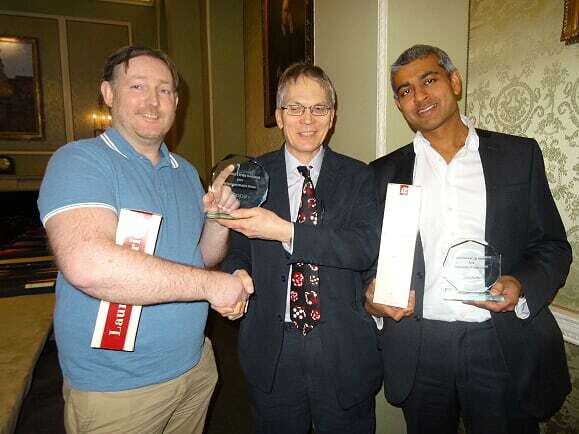 During the six year association with Scope I have been Chair of the Backgammon & Bridge event committee. I am still a committee member but the job of Chair is now in the capable hands of RAC member and backgammon enthusiast, Justin Silver. The bonus for me is that this year I will finally have the pleasure of playing in the tournament! 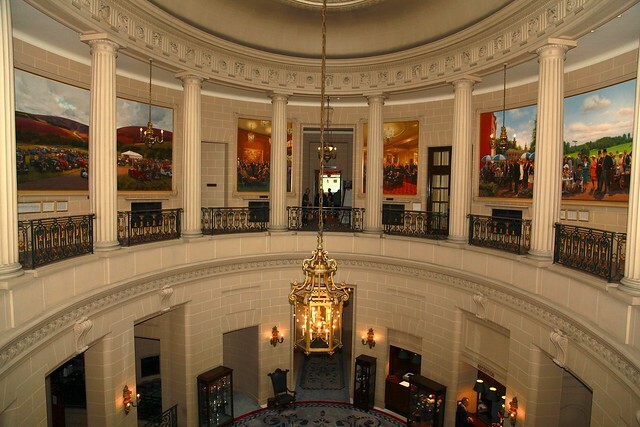 The RAC Rotunda – yes, Downton Abbey did film here! 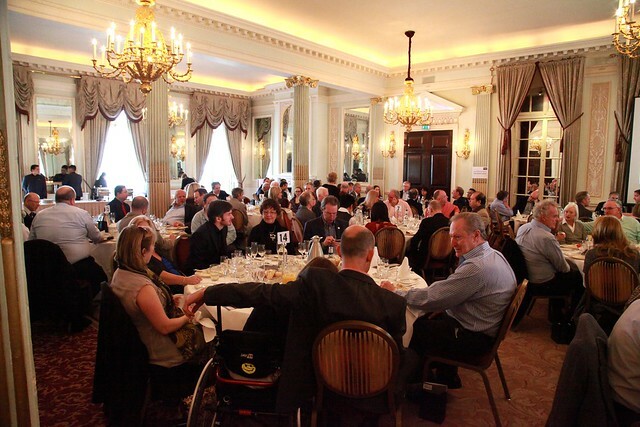 In this, its 17th year, the event is again being hosted at the exclusive Royal Automobile Club (RAC) in Pall Mall, London. 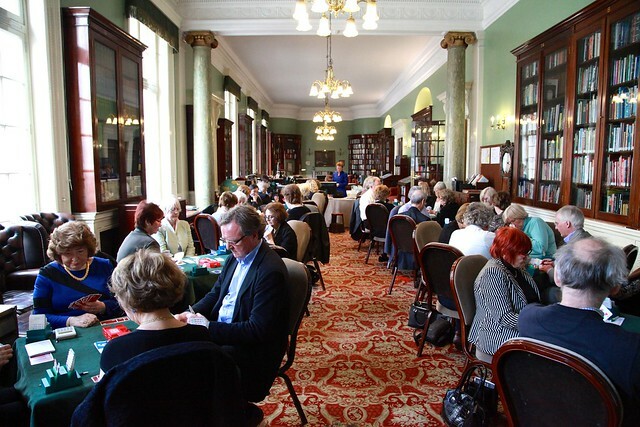 The RAC has been the chosen venue for the last six years, and in 2015 it opened its doors to around 150 guests, including 90 backgammon players. 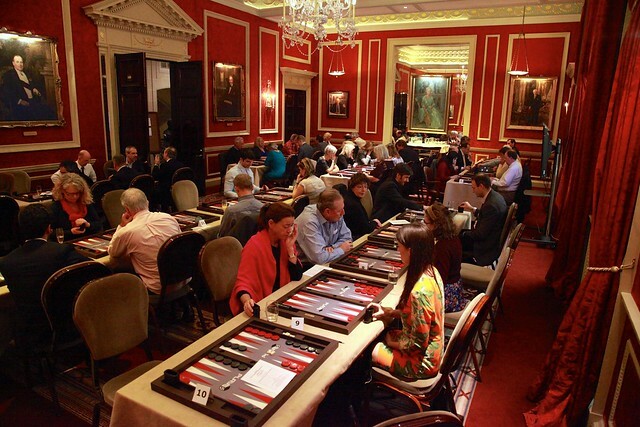 To play backgammon, and experience the rest of the day’s entertainment, in the sumptuous surroundings of the RAC with other players and friends really does make the occasion feel special. During the last 17 years the venue has also changed periodically. Having begun at Simpsons in the Strand, the event moved to the RAC in the early years. It later migrated a few doors along Pall Mall to the Reform Club. However during this period attendance declined, and it is only since the return to the RAC that numbers have again risen to well over 100 every year. In part I think this has been due to the decision to separate the backgammon into two distinct competitions, known as ‘Masters’ and ‘Championship’ flights. I should mention that attendees also have two other options: to play duplicate bridge or to attend as a non-playing brunch guest. By the way, you don’t need to worry if you haven’t got a bridge partner… our bridge organisers will find you one. Bridge players have a great day too! As the name implies, the Masters flight, which is limited to 32 players, is aimed at experienced players. The Masters has become well-established as an important event on the backgammon circuit, with a bespoke Competition Size Geoffrey Parker board as the Main Prize. Details of board design including colours are selected by the winner. 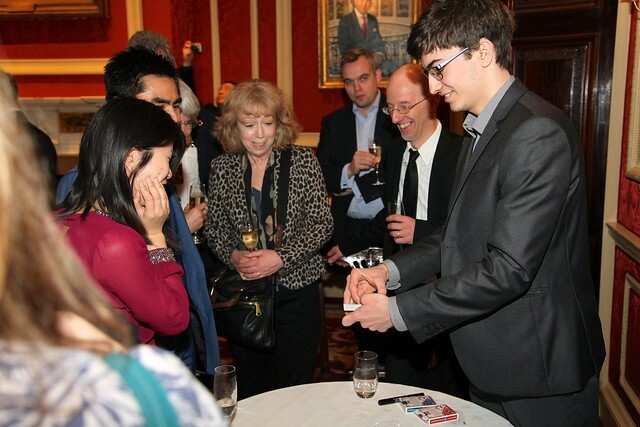 Although there is no official prize money, Masters players have been known to organise unofficial side pools, and there is usually a lively auction during the brunch which precedes the tournament. All match results for the last two years (for both Masters and Championship flights) are incorporated into the UKBGF Ratings system and this will continue. During the discount period, Masters tickets are priced at £200, but only until the end of January. Not only will prices then increase, but places are strictly limited to 32, which are invariably filled. The Championship Flight is aimed at social players, although matches are no less hard fought. The winner also receives a beautiful bespoke Parker board (just slightly smaller than the Masters prize! ), in his or her chosen colours. There are more players in the Championship flight – up to a maximum of 64 – but ticket prices are lower at just £100. This price will also increase after the January discount period. All prices cover the whole day: champagne reception, brunch, charity auctions, tournaments, afternoon tea, and for those still present near the sharp end of the tournament, early evening sandwiches and other refreshments. Other great prizes are awarded to runners up, and to the Consolation winners of both flights, and plenty of bottles of champagne are thrown in for good measure. It is not just over the board that participants can win special prizes: there is an Instant Prize Draw and two charity auctions (live and silent) in which specially donated items are sold to raise money for Scope. Last year Christopher Biggins (who played ‘Lukewarm’ in the TV series Porridge) proved to be an excellent and entertaining auctioneer and he has agreed to come back again this year. Instant Prize Draw tickets cost £10 each and are sold during the Champagne Reception at the start of the day. For the equity-conscious attendee the expected return on a £10 investment makes these tickets excellent value! A good percentage of tickets are winners and prizes range from one of Chris Bray’s excellent backgammon books to a meal for two at an exclusive Mayfair restaurant. Players enjoy brunch prior to doing battle! This brings me onto the very important subject of sponsorship and donations. We rely on the generous support of many individuals and companies without whom the event simply wouldn’t happen. Both Alan Rind, the principal sponsor, and Max Parker of Geoffrey Parker Games Ltd, are long-standing supporters. But other donations, including items for the Auctions or the Instant Prize Draw, are also crucial to successful fundraising for Scope. If you have any suggestions, particularly for ‘money-can’t-buy’ prizes or experiences which you might be able to secure, please get in touch with Scope, or email me. Previous examples have included backgammon lessons with the greats (Mochy, Raj, Chris Bray), celebrity experiences and rare works of art. Donations of holiday accommodation are always hotly contested. In conclusion I must thank Justin Silver for taking over as Committee Chair and wish him every success in this role. I am confident that with Justin’s guidance this popular and successful tournament will continue to support Scope’s essential work for many years to come. One final reminder: book now, and enjoy a great day at the RAC on 20th March. Hope I am already booked in as I paid months ago. Not the masters though. Will I receive tickets or such. Yes, you are already booked in for the Championship – thanks for registering early. There are no paper tickets – we know who has registered! See you on 20th March. Wonderful coverage of a great event!! !